We are a multispecialty dental practice providing the finest in dental materials in the hands of skilled dentists in a positive atmosphere for every visit. Each person who walks through our door experiences the highest level of care we can provide. We are popular with working professionals, retirees, artists, small business owners and all who appreciate excellence in their dentistry. We not only serve Mid-Wilshire but also Larchmont, Los Feliz, Hancock Park, Koreatown, Silverlake, Hollywood and beyond. With our vast array of in-house specialists, we can provide for all your dental needs. Our patients also choose us as their mid-wilshire dentist because of our full in-house lab support. Our state-of-the-art lab ensures quality and allows us to treat both simple and full mouth reconstruction. Experience firsthand how our technology produces excellent results.  Join our popular and growing practice, call us today! Wpd Dental Group is a multi-specialty Los Angeles dental practice providing excellence for families and working professionals. Our doctors provide dentistry specific to the patient’s facial aesthetics and restore their smiles for long-lasting results. We serve patients all across Los Angeles from Larchmont, Silverlake, Hancock Park, Hollywood, Beverly Hills and beyond. We treat everyone with precision, kindness and long lasting care. © Wpd Dental Group. All Rights Reserved.